Browse: Home / Will Apple’s iBeacon transform the way retailers gather feedback? 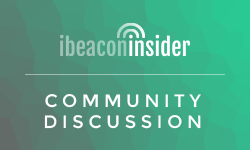 Will Apple’s iBeacon transform the way retailers gather feedback? Much buzz has been given to iBeacon technology as a source for retail innovation. The primary use case tends to center around using the technology to directly improve the the in-store shopping experience by way of context-driven content direct on a shopper’s phone. This might take the form of personalized offers, in-store maps, recipe reminders, and so on – the possibilities are really endless. One aspect of iBeacon technology that hasn’t gotten as much attention is the window it opens into shopper behavior. Retailers who leverage their iBeacon tech not only as a content delivery system, but also as a system to collect and analyze shopper feedback, will be in a prime position to understand how, when, and why their customer’s shop – using that knowledge as a basis for optimizing the in-store experience. One example might be using iBeacon technology to deliver context-driven surveys to shoppers as they peruse the store. While surveying is one of the tried and true customer-feedback systems of the traditional age, utilizing iBeacon to deliver real-time surveys to select shoppers would provide new insights into in-store shopper behavior and mentality. Since the bulk of these surveys are conducted long after a shopper has left a store, they are more prone to what sociologists observe as the ‘recency effect’ – the phenomenon in which people asked to recall items on a list in any order, are most likely to recall those which came last. For marketers trying to understand the shopping experience from a holistic perspective, this means that they are not getting the complete picture. 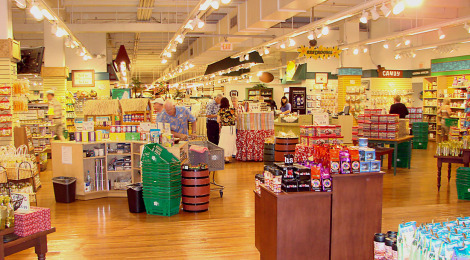 What is the shopper experiencing while they are browsing the aisles? What are their points of frustration? What could a retailer do better to address questions or concerns before checking out? In another example, a retailer using iBeacons could develop a “heat-map” of the highest-traffic floor-space, using that knowledge to optimize the scarce resource that is square footage. Retailers could even use multiple iBeacons to track the pathways that shoppers take throughout the store as they shop, measuring how long shoppers spend in certain areas. If you want to get crazy, retailers could ultimately match device-level identifiers to their CRM data to figure out which pathways, shoppers, and shopping behaviors resulted in the most purchases. We’ve shown that iBeacons can be used to capture both qualitative (surveys) and quantitative insights into shopper behavior. While iBeacon technology is definitely still in its infancy, successful companies will push the technology past its initial role as a “mobile coupon dispenser”.